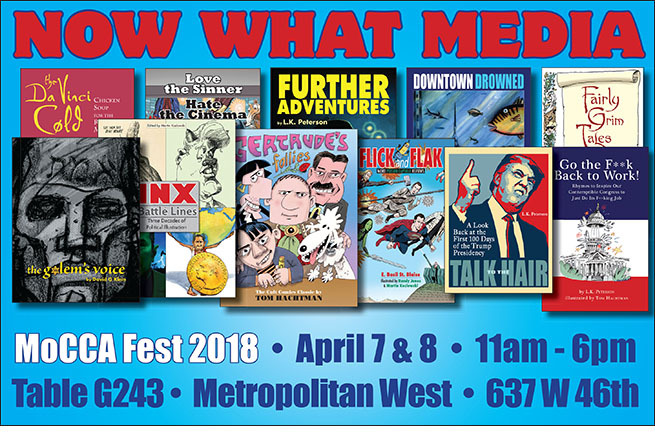 We were at MoCCA Fest 2018 on April 7 & 8 from 11:00 a.m. - 6:00 p.m. at the Now What Media table G243. 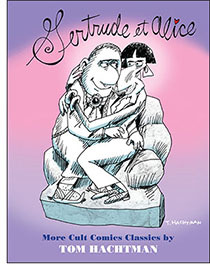 More Cult Classics from the Golden Age of Comic Weirdness by Tom Hachtman. Follow the amorous and absurd adventures of Gertrude Stein and Alice B. Toklas as they simultaneously storm the ramparts of Jazz Age Paris and Punkalicious New York to unlock the mysteries of art, gender, and hash brownies. Our President shares his vast and unique knowledge of our Nation’s proud alternative heritage in a series of truly inspired tweets in this new collection. Drawing on his close study of several television documentaries and a collection of Classics Illustrated Comics, Donald J. Trump illuminates the key moments in the Panorama of Great Events such as he remembers them. 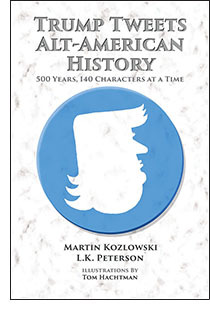 Edited by Martin Kozlowski and L.K. Peterson with illustrations by Tom Hachtman. And we pitched the riotous retrospective Talk to the Hair: A Look Back at the First 100 Days of the Trump Presidency and all of our other humor books and comics collections. 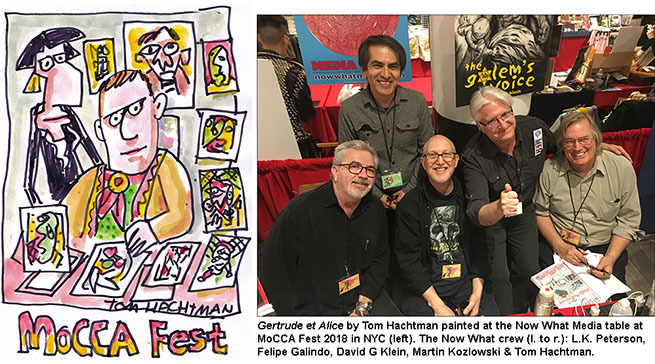 Creators Tom Hachtman, David G Klein, L.K. Peterson, Felipe Galindo and Martin Kozlowski were on hand to sign copies of their books. The Society of Illustrators did a great job of putting together this edition. 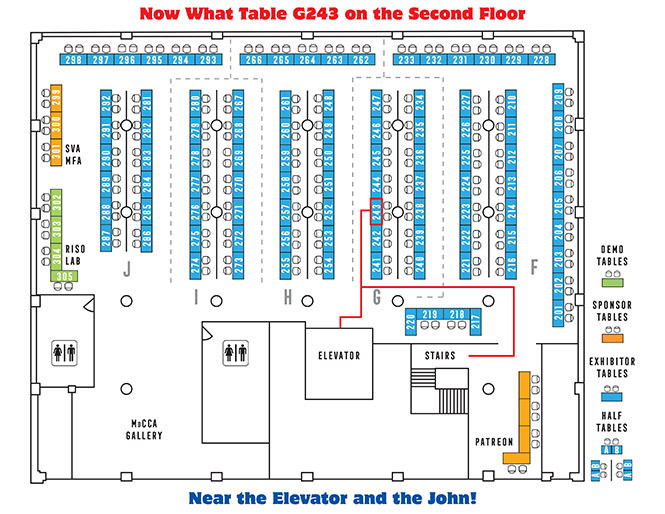 We all had a fine time chatting with a wide range of fans, and were inspired by the convivial and creative atmosphere. For more info on the Festival, visit the official site.